The short lifetime of digital technologies means that generational identities are difficult to establish around any particular technologies let alone around more far-reaching socio-technological ‘revolutions’. 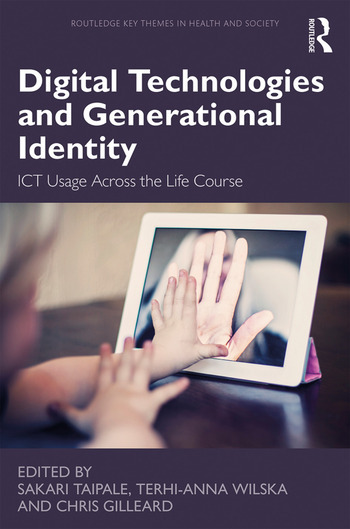 Examining the consumption and use of digital technologies throughout the stages of human development, this book provides a valuable overview of ICT usage and generational differences. It focuses on the fields of home, family and consumption as key arenas where these processes are being enacted, sometimes strengthening old distinctions, sometimes creating new ones, always embodying an inherent restlessness that affects all aspects and all stages of life. Combining a collection of international perspectives from a range of fields, including social gerontology, social policy, sociology, anthropology and gender studies, Digital Technologies and Generational Identity weaves empirical evidence with theoretical insights on the role of digital technologies across the life course. It takes a unique post-Mannheimian standpoint, arguing that each life stage can be defined by attitudes towards, and experiences of, digital technologies as these act as markers of generational differences and identity. It will be of particular value to academics of social policy and sociology with interests in the life course and human development as well as those studying media and communication, youth and childhood studies, and gerontology. Sakari Taipale works as an Academy of Finland Research Fellow at the University of Jyväskylä, Finland. He is also an Adjunct Professor at the University of Eastern Finland. Terhi-Anna Wilska is a Professor of Sociology at the Department of Social Sciences and Philosophy, University of Jyväskylä, Finland. Chris Gilleard is a Visiting Research Fellow at the Division of Psychiatry, University College London and a Visiting Senior Research Fellow at the Department of Social and Policy Sciences, University of Bath, UK.